The book, written by Andrew and Terri Lyke, noted pioneers in Catholic marriage ministry with African Americans, addresses the virtual collapse of the institution of marriage among African Americans. It reports what the authors have surmised from 41 years of marriage, 35 years of national leadership in marriage ministry among African Americans. Their observations from their work with the Healthy Marriage Initiative, and what they have seen and heard in the various communities around the country they have served. Modern culture, both beyond the African-American Community and especially within, mitigates against the very idea of Sacramental Marriage as defined by the Church. Marriage On A Lampstand offers new strategies for effective outreach to families from our seasoned experiences as marriage educators and pioneers in Marriage Ministry. These approaches to marriage ministry will challenge and enlighten parents, couples, singles, pastoral ministers, catechists, and the entire Faith Community for strengthening marriage, and thereby strengthening family life among African Americans. 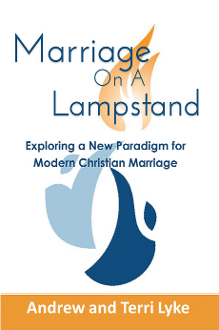 Marriage On A Lampstand offers practical approaches to raising the standards for marriage and family life. Compelled by the urgency in African-American community, this book was written with hopes that it will serve all families. We hope you find it enriching and useful.